How to make a payment in Mylot? How many of them online in mylot now? Hai Friends, how are you. Nice to meet you all.How many of them online in mylot now? now iam in mylot. i spend atleast three to four hours in mylot per day. what about you? share your commends. take care. have a nice day. Any one read Doctor's Handwriting? Do You Cook With Onions? vimaal Hai singlemommy, ya i like to eat onion very much. mostly i love onion which one is sauteed in a butter. It is the good sidish for the chicken briyani.. take care. Do You Receive Calls From Unknown No.? vimaal hi Nirishasol, ya i receive atleast 15-20 unknown calls for a day. But sometimes iam happy to attend the unknown calls because the opposite person is a female. But sometimes i got angry when the opposite person is a male. Take care have a nice day. How Many Friends Do You Have In My Lot? In my account of my lot i do have 110 friends but its not good enough for me i want to make more than that because i really enjoy having lots friends everywhere. What about yours share with me. vimaal Hai Nirishasol, i have more friends in mylot. But i want to increase my friend list in mylot. take care. How Many Times do you Cook? Do you cook every day when you get up cook breakfast than lunch then dinner? Do you find yourself cooking 7 days a week or do you take a break from this routine? vimaal Hai friend. i don't cook in my home, because my mother cook for me. take care have a nice day. vimaal hai friend nice.. you are correct. thanks for your nice reply.. take care have a nice day. Double side love or One side love? Can you still remember the names of your friends? How many times have you bought or changed your mobile phone? 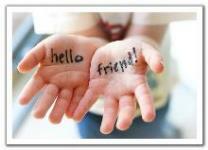 vimaal hai friend.. how are you. nice to meet you here. Two times i changed my mobile phone in my life..because the new one is better and more options than the older. so i changed my mobile phone twice.take care have a nice day..
what did you do on the first day of 2009? Hi friends, how are you?. If you could ask god one question means, what is that question?. share your commends. take care have a nice day. Are you afraid to answer the topic for the teachers question? Do you use black pen or blue pen? which one do you prefer Beauty or Brain? Can you live without internet?